Midway between Miquihuana, Tamaulipas and Doctor Arroyo, Nuevo Leon. 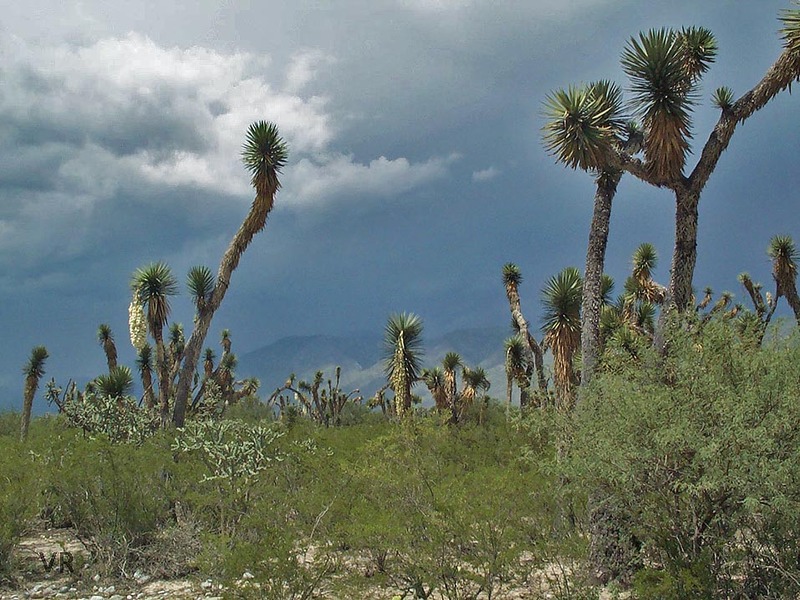 In the southern range of the Variable Kingsnake, desert flats containing vast forests of tree-like yuccas separate the high elevation, rocky habitat where thayeri are found. This type of habitat isolation probably contributes significantly as a driver in the plasticity of Variable Kingsnake phenotypes. The degree of habitat diversity in this region is mind-boggling. Note the abrupt rise of mountains just a short distance away on this stormy day.